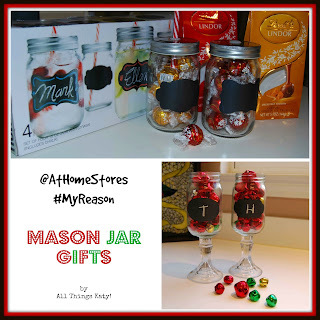 I started out with a set of four Mason Jar Glasses (found in the glassware section of At Home Stores). I loved the fact that the Mason Jar Glasses included a chalkboard label on each glass- a great way to personalize your gift! 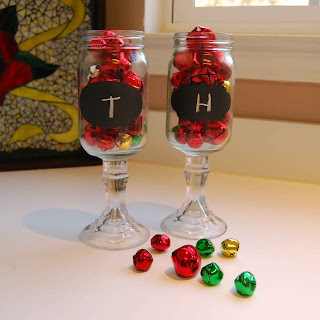 My first Mason Jar gift idea was to create "Southern Wine Glasses." I found some small glass candle stick holders (located in the candle section of At Home Stores). Then, I had my husband epoxy the candle stick holders to the bottom of two of the Mason Jar Glasses. After letting the glasses dry overnight, I filled them with jingle bells and personalized the labels. Pair the "Southern Wine Glasses" with a bottle of wine (or, beverage of your choice) and you've got a great hostess gift! ...and end up with this...! 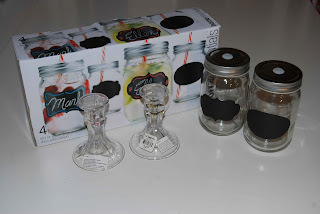 Since I was only able to find two small glass candle stick holders and I had a set of four Mason Jar Glasses, I wanted to find a special way to gift the remaining two Mason Jar Glasses. While waiting in line to check out, I saw some bags of Lindor Chocolate Truffles. 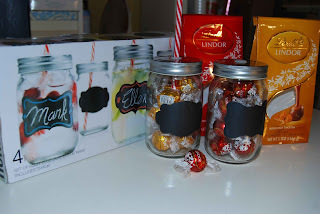 So, I grabbed a couple bags of truffles and filled the remaining two Mason Jar Glasses with Lindor Chocolate Truffles. I plan to personalize the labels and add a festive ribbon- tada!- a perfect gift to give a neighbor! Now, because I love my sewing machine (as most regular readers of All Things Katy already know;-), I also wanted to find a quick and easy way to gift something (semi) sewn. 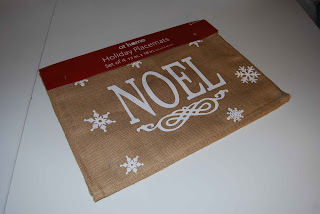 I found this set of four burlap holiday place mats for $14.99 (located in the holiday linens aisle) and I knew they'd make cute decorative pillows. I already had some soft polyfil leftover from a previous project, but At Home Stores also sells bags of polyfil. Once I got the place mats home, I flipped (one at a time) them over and located the seam at one of the bottom corners. Then, I used my trusty seam ripper and ripped out a couple of inches of seam. 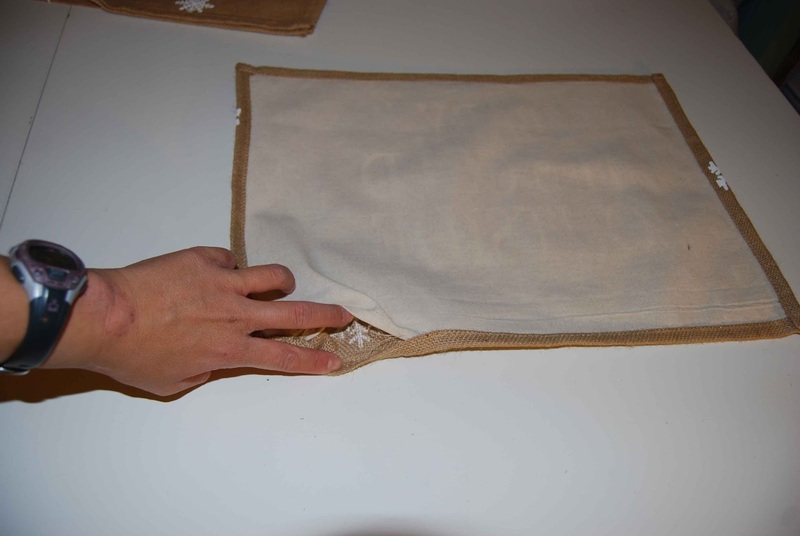 By doing so, I created a empty pocket between the muslin backing and the burlap place mat front. 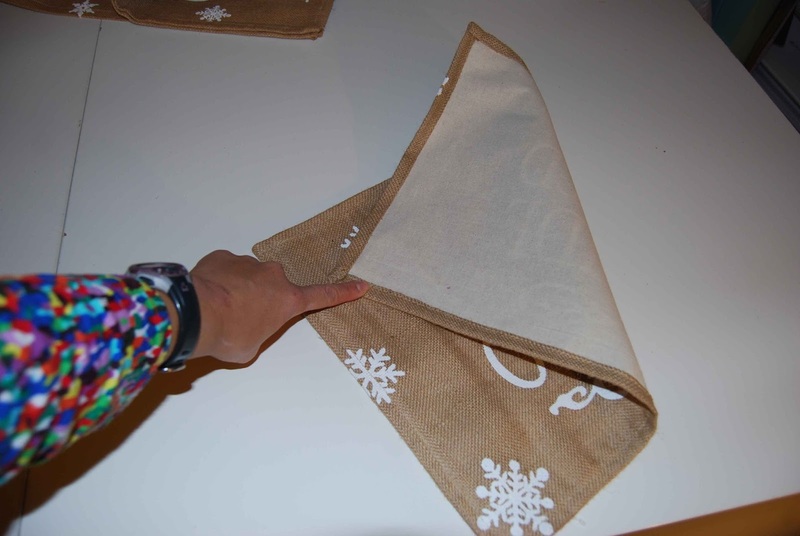 Next, I filled the place mat will polyfil. 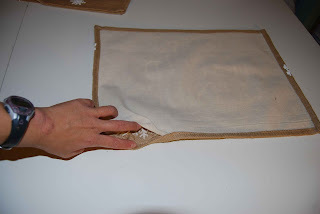 I filled the place mat pretty full, but still soft enough to get under my sewing machine presser foot and needle. 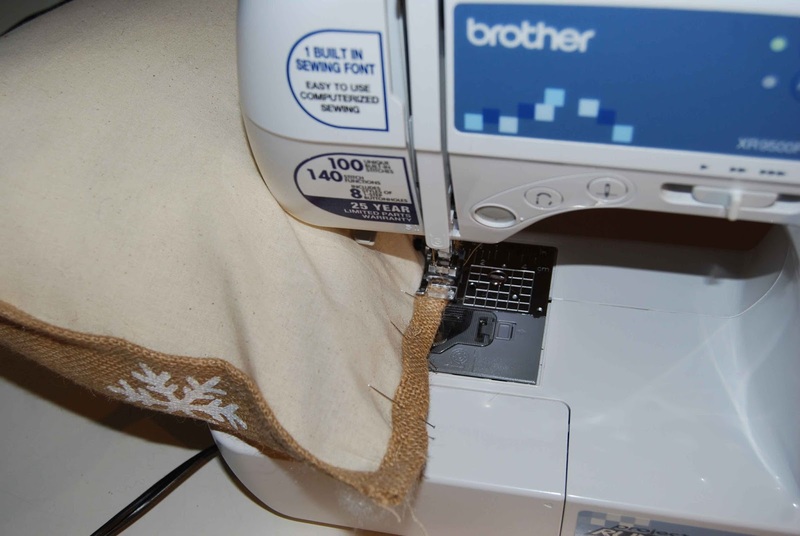 After filling the place mat, I stitched the opening closed with my sewing machine. Voila! 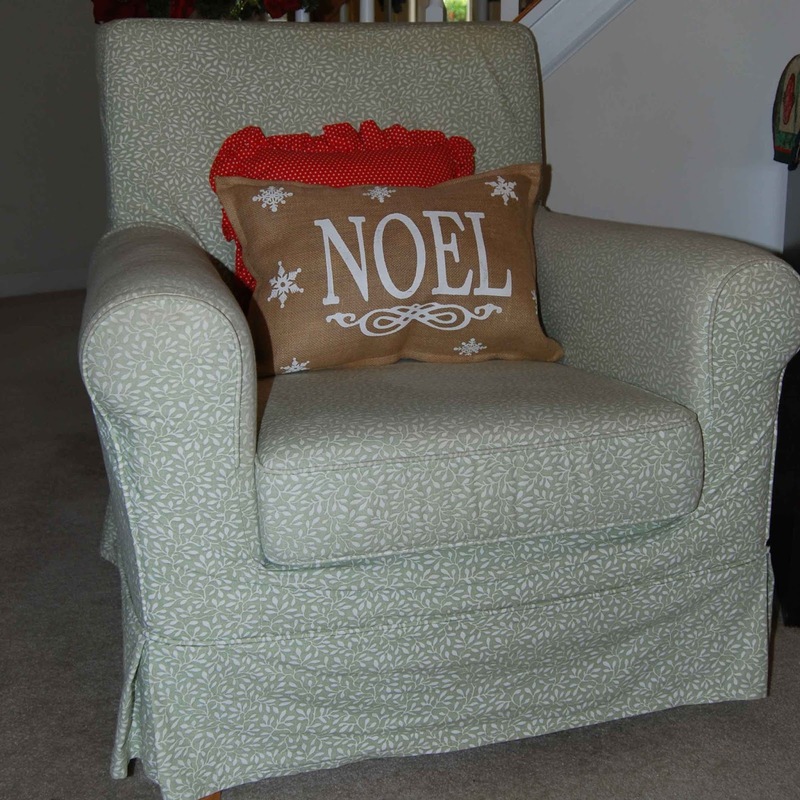 (Almost) Instant, perfect decorative pillows out of burlap Holiday Place mats from At Home Stores! 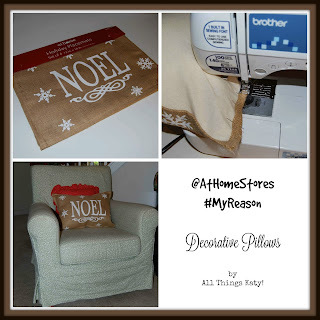 I loved these pillows so much that I just *might* keep them for myself! Heehee! #MyReason to decorate and give to others this this holiday season? It's simple; I want to help create memories with my family and give those that have touched my life a tangible expression of my gratitude. Merry Christmas! Sponsored Post by Moms Meet- Blake's All Natural Foods Pot Pies and a GIVEAWAY! 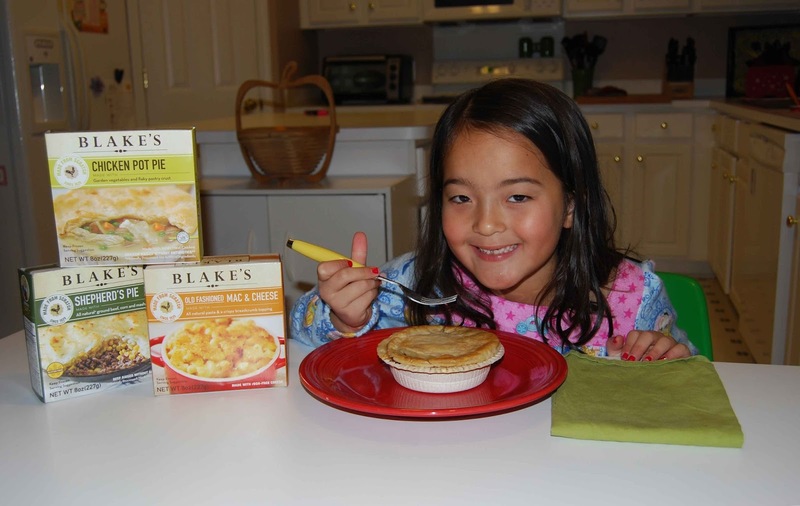 I am pleased to review Blake's All Natural Foods Pot Pies here on All Things Katy! today. Blake's All Natural Foods started with one family and a farm back in Concord, NH 1929. It started with Grandma's Pot Pie recipe and the fine art of a hungry family gathering together around the dinner table. Blake's All Natural Foods believes that while the times have changed, the notion of family time and quality food has not. Blake's All Natural Foods offers a whole line of organic, natural entrees such as Turkey and Beef Pot Pie. You can read more about Blake's All Natural Foods here. We decided to try Blake's All Natural Foods Pot Pies on a busy weekday. We just popped the meals out of the freezer and into the oven while we went about unpacking from the day and getting ready for the next. Forty minutes later, we were ready to sit down and dig in! We sampled the Chicken Pot Pie, Shepard's Pie and Macaroni and Cheese because that was what was available to us, at our local grocer. To find Blake's All Natural Foods near you, please refer to the store locator on the Blake's All Natural Foods website. First off, prep was a breeze- literally, remove contents from box, remove plastic cover and bake. No mixing, transferring or mess. Love that! 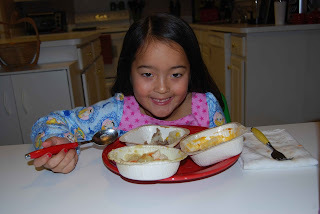 Hubs, Lil' Miss and I all took turns sampling the Blake's All Natural Foods Chicken Pot Pie, Shepard's Pie and Macaroni and Cheese so that we could give a full report. The Chicken Pot Pie had a great, flaky crust. It cooked to the perfect golden brown and had the right amount of crunch when we dug in. 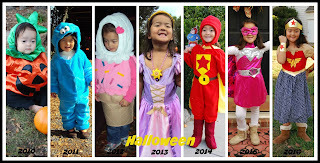 Yet, it was soft enough for my (front) toothless six (almost seven!) 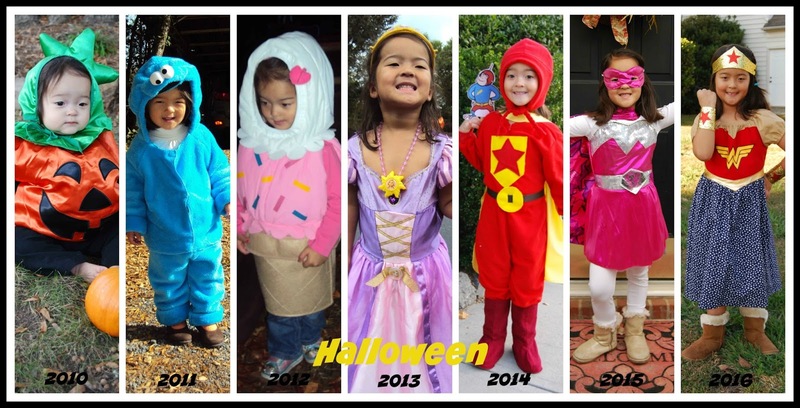 year old daughter to eat comfortably. The veggies inside definitely tasted fresh and crisp- not over-cooked and mushy. The pot pie sauce was flavorful and light, but not overly salty or bland. My only complaint was that the Chicken Pot Pie lacked a lot of chicken chunks. Of the three pieces that we did get, the chicken was all white meat and not fatty. The Macaroni and Cheese had a nice, crunchy crust that added to the overall dish. The Macaroni and Cheese was cheesy and creamy without being fake. The noodles were firm and not mushy at all. The Shepard's Pie included ground beef, corn and a mashed potato crust. The ground beef tasted fresh and not mealy, fatty or oily. The corn was sweet with just the right amount of crisp 'pop!' 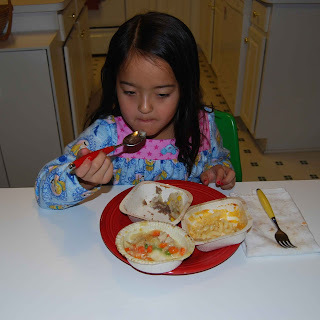 The mashed potato topping was light and definitely tasted homemade! After sampling (and finishing!) 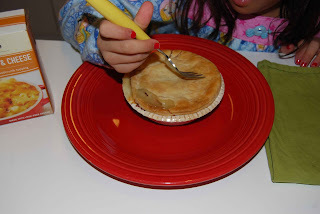 our meals, we concluded that we all enjoyed the pot pie the best! It had the best overall flavor, texture and contents. Our second favorite was the Macaroni and Cheese. Overall, we had a very favorable opinion of the Blake's All Natural Foods line of foods and we will definitely be scoping out more Blake's All Natural Foods products next time we go grocery shopping! As a mom, I love that Blake's All Natural Foods is made with all-natural, organic ingredients. I appreciate that Blake's All Natural Foods products are free from artificial colors, preservatives and hormone-free. I enjoy the fact that the family behind Blake's All Natural Foods believes in fade-from-scratch, small batch cooking- it is evident in their meals! Would you like to connect with Blake's All Natural Foods? The giveaway will end 11/30/16 and one winner will be chosen and contacted after that. Good luck!